“If I follow the teacher’s directions, I will never heal from that,” Wilson recalls thinking. He refused, and the teacher took him to the office to write him up. What the teacher didn’t know is that Wilson came from a refugee camp in Tanzania, where food was scarce. Originally from Burundi, Wilson had lived in the camp until age 13, when he came to the United States and began middle school. Throwing away an apple would have been an act of immense disrespect toward the people who were still hungry in the camp, Wilson felt. Because of miscommunications like this one, Wilson felt pigeonholed for many years as a “bad kid” in school — and so he often did his best to live up to the reputation. 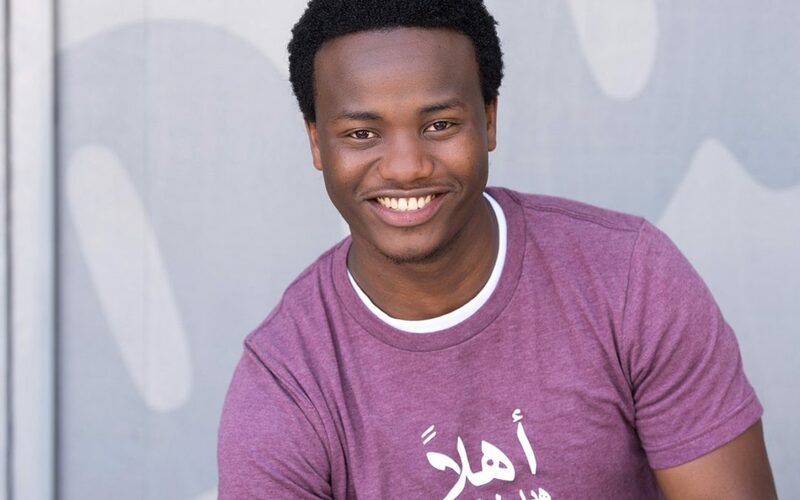 Wilson is now 24 years old, a motivational speaker and the director of community engagement for the Refugee Center Online, a website that provides resources and information for newcomers to the United States. During Wilson’s adolescence, bias, miscommunication and isolation made him feel like an uncomfortable outsider in the U.S. A moment of epiphany about his own potential broke him out of that cycle and helped him decide to inspire others. The middle child in a family of nine, Wilson had high hopes for life in the United States. His family moved into an apartment in Tucson, Arizona, with running water and electricity, which was a big step up from the refugee camp. He started middle school. His father got a job at the Olive Garden restaurant. Then a bill arrived: thousands of dollars the family owed for help they had received with their visa application process. With his father making minimum wage, “it was a big burden,” recalls Wilson. “How are you going to pay it back?” That was the first moment he realized life in the U.S. wasn’t going to be perfect. School also proved a challenge. Because he didn’t speak English, Wilson had difficulty understanding his classes. The exception was home economics, where he bonded with classmates over cooking. Otherwise, he felt that he stood out. Bullies often tried to pick fights with him, which he would avoid by running to the bus. He was conscious of being a representative minority; he didn’t want to make all refugees look bad by getting in fights. But Wilson found it difficult not to respond. When the family moved to South Dakota, Wilson’s English had improved, but he still felt isolated. “I didn’t fit in with any groups,” he says. White kids on the bus called him racist names, and African American kids didn’t know what to make of their African classmate. Everywhere he turned, it seemed, people expected him to struggle. By high school, he was skipping class and getting in trouble fairly often. One day, sitting in an assembly, Wilson watched a bunch of students receive awards for academic achievement. He had never seen any of them before; they weren’t in his social circle. Wilson stared hard at the stage, entranced. Wilson stopped skipping class. He went from being a D student to a B student. He made the honor roll. “It’s addicting,” he says of success. In his senior year, he found himself up on that stage as he received awards for leadership and academic improvement. After four years of college, Wilson went on to get his Master of Business Administration at the University of Sioux Falls. He began to wonder how to help students like himself — immigrants and refugees who were foundering in a sea of prejudice and misunderstanding. Creating an open mic night for high schoolers, he also began to tell his story, eventually putting together a resume as a motivational speaker.